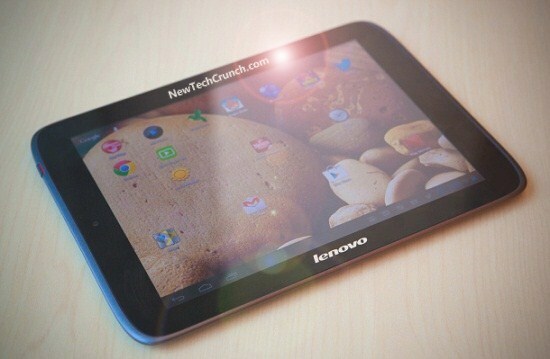 The tablet Lenovo IdeaTab S2109 stands out for its low price, powerful speakers and a design in addition to comfortable Android 4.0 Ice Cream Sandwich. Is your CPU as powerful as your speakers or under price a sign of lack of features?. As technology advances, so do the expectations and what was a good product, even just three months ago, today, is considered a waste of money. Beyond the performance issues of the Lenovo IdeaTab S2109 (Of which more later), the price of it is probably the point more deterrent. Not a terribly expensive device and actually include useful links despite its cost, but at the end of the day you probably want to get the best product possible your money and unfortunately, the S2109A simply can not compete with other similarly priced tablets that clearly offer more and better features. While some similarities dimensional with iPad (more specifically the iPad 2), I doubt that users have difficulty distinguishingS2109A Apple tablet. 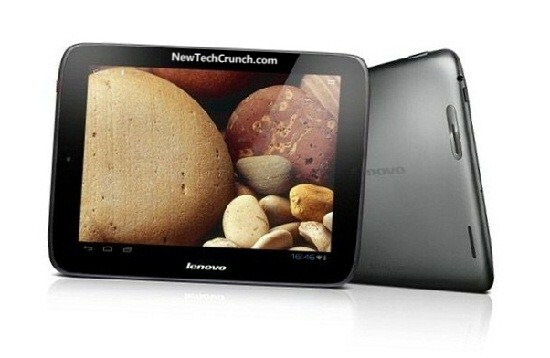 First the similarities, both tablets have a screen with a 4:3 aspect ratio with a resolution of 1024 x 768 pixels. The dimensions and weight are virtually identical although S2109A has a wider bezel or border. Ok, now the differences begin to be more detailed. The corners of the S2109A are more rounded and beveled edges on the back is not as dramatic. This allows the corners do not disturb or cause discomfort in the palm of the hand to be comfortable to hold with both hands. The back of the tablet is composed of a plastic panel gray curved towards the front. In the center of the left bezel is a chamber of a 0.3 megapixel on the left edge of the power button in addition to the jack for connecting headphones. At the top we find the volume control. Its general construction seems good enough, but there are small details that differentiate high-end device. 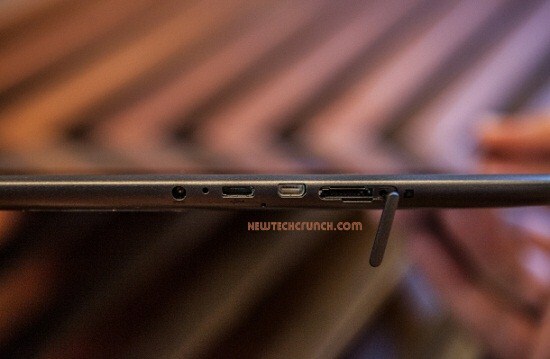 Basically lack of style in design and sound quality found in tablets as the Nexus 7 and Transformer TF300. 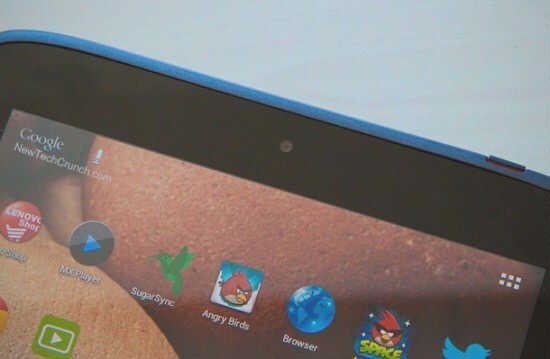 The S2109A runs Android 4.0.4 but no noticeable changes from the 4.0.3 version and most of the applications included in the tablet can be installed from Google Play free deformed. The file browser, which is a useful application that allows direct access to files on disk, the only notable application is exclusively included in this tablet. Also included is a sound option to configure SRS speakers in music mode and movies, but no SRS options (such as surround sound equalizer) offered at Toshiba devices. The S2109A has a 1GHz dual-core OMAP 4430 and 1GB of DDR2 RAM also be available in versions with 16GB and 32GB of internal storage. It includes support for WiFi 802.11 b / g / n, Bluetooth 3.0 and GPS and gyroscope, accelerometer and digital compass. The S2109A has an IPS panel on your screen, displaying a wide viewing angle and high brightness. As mentioned, its resolution is 1024 x 768 pixels. Although matches the specifications of the iPhone screen 2, in practice it is of lower quality than most screens are available in many of the tablets Android . The lack of density of pixels on the screen S2109A is not really noticeable in most applications but if you can see to read text on the Home screen or on the web. As you move through the pages and navigation menus, the display shows the sensitivity of most of the tablets Android although not to the level Pad Transformer TF300 and sometimes it is frustratingly difficult to unlock the screen by moving bloueo in the S2109A . Applications begin immediately once the opportunity to press the appropriate icon even large applications such as games, started significantly slower than other dual-core tablets like the Samsung Galaxy Tab 2 10.1. The download speed and web applications is on average slower than when using other Android tablets we've tested. Downloading applications especially delayed up to four times longer to complete than in the Galaxy Tab 2 10.1. Thanks to its scalability of hardware, we use the GP as Riptide game performance meter. Depending on CPU speed of the tablet, Riptide GP shows a significant increase or decrease in frame rate (frame rate). The S2109A showed acceptable frame rates, almost on par with other tablets with dual-core CPU speed 1GHz though obviously not reached the levels of a quad-core Tegra 3. Movie playback was chewed by frustrating inconsistencies. MP4 and MOV files were visualized usually without much trouble, although this was not always a guarantee. MKV files could reproduce without major problems (except restart the tablet to recognize them and opened this correctly). We used the player says Player, one of the most compatible that are known and, again, was not seen or appreciated by surprise performance in tablets with Tegra processors 3 (although the comparison is probably unfair). The inclusion of four separate speakers speakers or allow to obtain a high solid, powerful and clear enough. As mentioned the S2109A has a 1.3 megapixel front camera and video recording at 720p reproduce the same quality as most of the tablets. When used as a webcam lacked clarity and the colors are quite washed. The battery lost its charge in a somewhat faster than other similar tablets and requires a recharge after about 8 hours of use. Official technical specifications and more information on the manufacturer's website . This looks like a pretty good tablet. I been looking all over for a good one that isn't going to cost me an arm and leg. The only worry i have is the battery....noticed you mentioned the charge was an issue. I also love the android system.Tell me how to change the operating system. here is a good put up, I appreciate this out there moreover now I am definitely Glad from your data. Thanks, I would like to share it and also get back again.